Great Place To Work selected 25 best multinationals. Companies listed on the list creating workplaces dedicated to fostering trust, pride, camaraderie amongst employees. The companies must have selected for at least 5 national Great Place to Work lists, have at least 5,000 employees worldwide, count at least 40% of their global workforce outside their home country. 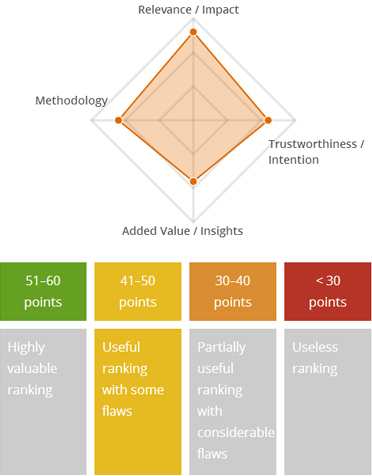 Despite these flaws, the ranking is a useful tool for managers of large corporations to find out how they are perceived by their employees in terms of employer attractiveness. Dr. Markus Renner is Co-Owner and Managing Partner of Branding-Institute AG in Basel since 2008, consulting multinational corporations and organizations as strategic advisor and innovator in the fields of strategic communications, brand and reputation management.